A data recovery software that's the most advanced and still the easiest…sounds unreal? Recovers data from all Windows OS storage devices. Supports Windows 10. 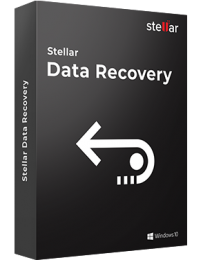 For beginners and non-technical users, Stellar is the obvious first choice among data recovery software. 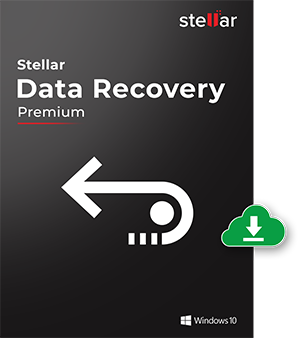 Stellar works quite well and recovers deleted files quickly. The interface of the software is quite easy to use. It’s the ultimate data recovery software that gets back ALL your lost data from ANY Windows device in the world! The software has been critically praised for its simple DIY interface, powerful performance, and broad set of utilities for both data recovery and photo/video repair. The software recovers documents, emails, photos, videos, and audio files, etc. from any storage media— hard drives, SSDs, SD cards, USB flash drives and more. Also recovers lost or deleted data from NTFS, FAT and exFAT formatted drives and volumes. Serves as a powerful software in data crisis situations by helping recover data from formatted, corrupt, and damaged storage media. Lost your data due to hard disk corruption, virus/Trojan attacks, damaged registry, or formatted drive? Use the advanced Deep Scan utility to look across each sector on a drive to locate every bit of your recoverable data! Deep Scan also recovers data from RAW or inaccessible volumes/partitions by using the file signature. Often a storage drive or partition/volume is not recognized as a ‘Connected Drive’ due to corruption or accidental deletion. The software recovers crucial data from such missing or deleted partitions and drive volumes in just 3 simple steps— scan for all the deleted partitions, select the desired partition, and recover the data. Locates every partition or volume that was created, ever! The software supports recovery of email from all major email clients including Microsoft Outlook (PST), Outlook Express (DBX), Exchange Server (EDB), Lotus Notes (NSF) and many more. The software is your best available option if you have accidentally deleted any of your important emails. You get what you see. The software generates a clear preview of the search results during a scan so you get to see all recoverable files before recovery. The results are neatly categorized in Tree View, File Type, and Deleted List formats.